Rubberized grooming glove. The glove is great way to wash your dog without getting your hand dirty. Just slip your hand in the glove and wash. The glove has holes to ventilate. 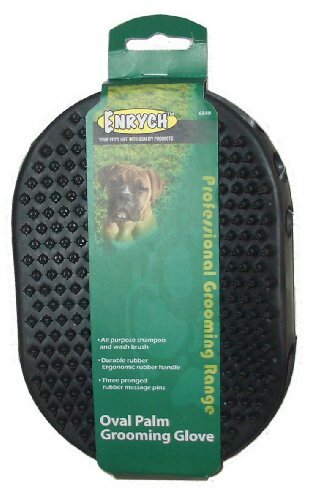 For short hair dogs just wet the brush and massage your dog. Loose hair will stick to your gloove while your dog gets a well deserved massage.